When calling someone you do not know, quickly state who you are and why you are calling, do this in your most charming voice and quickly ask if it is a good time to administer the questionnaire and ask if they would feel more comfortable if you called back. This makes you seem considerate of their time and business and allows you to schedule your interviews and form an initial relationship that guarantees you more information from the respondent. 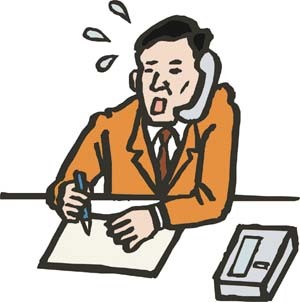 Use a landline so that you do not have to worry too much about dropped calls or bad connections and you don’t upset your respondent with those kinds of unnecessary interruptions. Smiling might seem pointless when you are on the phone but funny enough “it works”! Smiling projects a positive image to the listener and will change the tone of your voice. Do these even in the hard times when you’re tired and want to go home and even more so when you are speaking to a disgruntled respondent. Ensure your questionnaire is properly numbered per call so that if you have to end the interview before the questionnaire is completed you will be able to go back to it, when you call back. Engage your respondents so that they feel comfortable speaking with you and then they won’t mind how long you spend administering the questionnaire or whether or not you have to call back and they will be more open to asking questions and clarifying their answers. Know your questionnaire like the back of your hand, this will come over time but still ensure that you know where on your questionnaire you will find follow up questions such as “if NO go to” so on and so forth. Know the reasoning behind every question, if you have to write such information down and keep it next to you then do so. As respondents will ask questions such as “why do you need to know that”, and you need to be prepared to expound on the importance of your questions and how they benefit the end results of the survey and the benefits and objectives of the survey. Ensure that you are in an environment that is comfortable and you feel ready to take on an interview. Keep the interview on track at all time though you should not interrupt the respondent try not to let them talk your ear off with unnecessary unending information, yes you need to be engaging but don’t let the interview be mostly on “how they are doing today and the entire story behind that, but more so on the actual questions and answers”. Practice how you sound on the phone! You can record your best phone voice and then play it back to hear exactly how you sound. Don’t try to completely change your voice as nine out of ten times you will not be able to maintain this voice. Try to be as natural as possible; a fake voice makes it hard for you to find the words to explain and conduct the interview the way you need to. Ensure your interview instrument (questionnaire) and notes taken are properly filed and ready for data entry. We look forward to your comments and or views on this post.